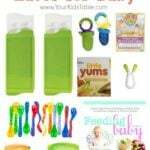 How to Make Your Own Baby Food – Simplified! 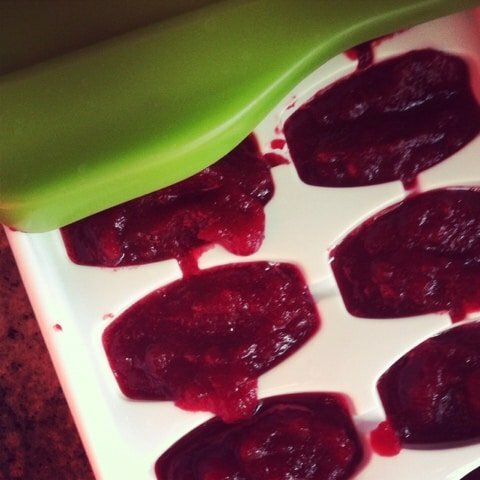 Home-made baby food: beets in the OXO baby food storage tray . I hate to go into this long tedious explanation of how to make baby food, but there are quite a few steps involved and I want to make sure you get it just right… Ummm, not really! Of course making your own baby food does take a little more effort, but it is easy and with most foods it’s difficult to mess it up. So many people seem intimidated about making their own baby food, but there is no reason to be, even if you aren’t much of a cook. Really, you can do this! 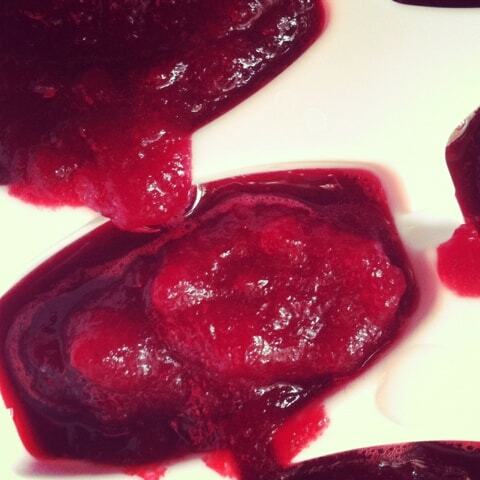 If you haven’t read it already, check out Benefits of Homemade Baby food, my attempt to talk you into it. 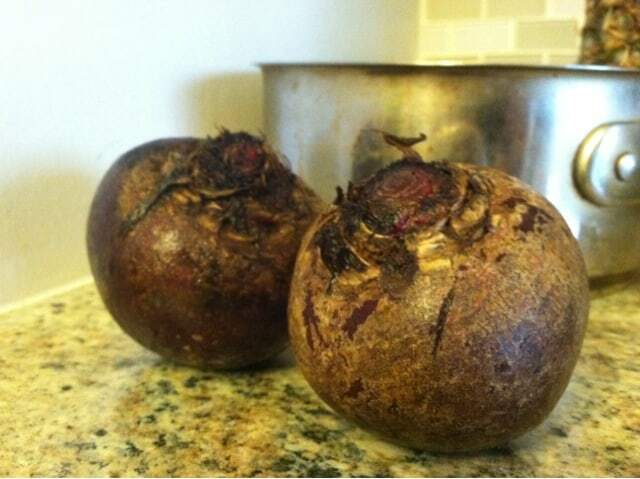 Fresh Beets- a great baby food, and one you will be hard pressed to find in a jar. 1. Make it as You Go– With a little planning your baby can probably eat some or all of what you are eating anyways. If you aren’t that worried about food allergies and feel comfortable introducing foods quickly then this could be a good strategy. Plus, it requires a lot less prep and planning ahead of time. However, if you aren’t going to freeze anything in advance you should probably get a “baby food maker” or compact, efficient food processor, such as the Magic Bullet . A “baby food maker ” is essentially a smaller version of a food processor and/or steamer. Although, I have never used one, I imagine for the short time you’ll need it, they are beneficial and may be worthwhile, especially for this method. You’re going to want to keep this handy, probably leaving it out on your counter, it will get a lot of use for about 4-6 months. The idea is that you toss whatever you are eating right into a food processor and grind it up until it is the appropriate texture (more on this in a minute). For example, let’s say you made a roast with carrots and potatoes or a stew or grilled chicken with pasta salad (just to name a few), you would grab a couple of spoonfuls and throw it into your baby food processor, magic bullet, blender, or regular food processor. Then, grind it up until it is a puree. You may need to add more liquid to thin it out, which could be water, your baby’s milk, or broth/drippings from your meal. Your baby will get exposed to a variety of seasonings and flavors with this method, which will prime them for more adventurous eating as a toddler. The transition to table foods will also be easier! and maybe your child’s urine and stool, but it is harmless. 2. Cook, Puree, and Freeze– This is probably the most common method people use and it does require some planning. It is how I fed my oldest child, and with the baby now I am combining this method with number one. I have a variety of fruits and veggies in the freezer. I will mix with some shreds of chicken the rest of us are eating (or anything else that my be appropriate such as: salmon, tilapia, beef, cheese, noodles, rice, beans, etc.) If we are eating pizza or something else that isn’t going work for the baby, I have the pureed stuff ready to go in the freezer. Clean and peel fruit or vegetables. If your child is in the later stages of baby food, you could leave the skin on your apple or pear. Grate or cut into small uniform pieces. The smaller the better because it takes less time to cook and thus keeps more nutrients in tact. Place in a pot of boiling water with just enough water to cover or into your steamer. Cook until you can easily push a fork through food. Place cooked food in a blender, magic bullet, food processor, or baby food processor. 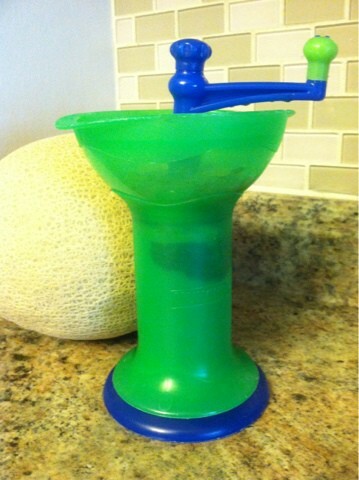 I have always used a blender and it works great. Puree until smooth or you reach your desired consistency. You may need to add more water if it is too thick or isn’t blending up well enough. If you are making potatoes make sure not to over mix or they will get too sticky. 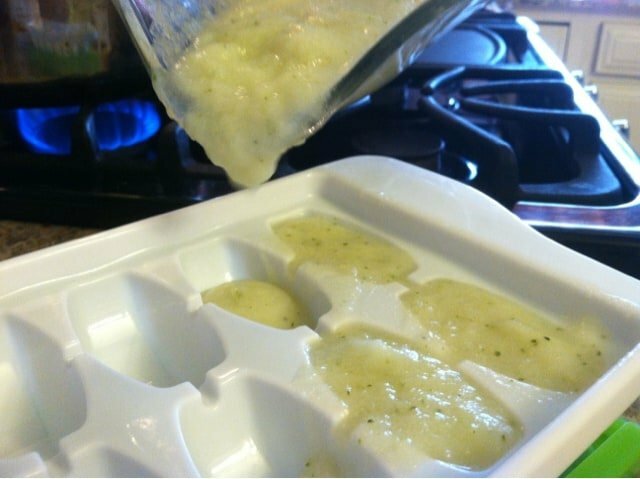 Place into small individual portioned storage containers or an ice cube tray and cover with aluminum foil. If using the latter, once frozen, remove individual cubes and store in a freezer bag or storage container for up to 3 months. Write the date on the bag to help you remember! Pull cubes out 1-2 hours in advance of eating time to heat in hot water or place in microwave for 15-20 second increments to defrost. This method works well for apples, pears, carrots, squashes, potatoes, sweet potatoes, broccoli, cauliflower, beets, parsnips, green beans, prunes, and zucchini. Bananas, melons, and avocados can go strait into your food processor. Most pediatricians recommend waiting 3 days between introducing new foods so that you can monitor any allergic reactions. If you have a family history of food allergies it is a good idea to adhere to this. Otherwise, you need to decide where your comfort level is. We do not have a family history of allergies so I feel comfortable introducing foods quickly. After my babies were on cereal for a couple of weeks and were starting to get the hang of eating I would pick a fruit or veggie, that I had bought a large quantity of, and have it with dinner. Then, I could just cube up the rest for the baby, cook, and puree. They would get the fresh stuff that night, a small container for another meal in a day or two went into the fridge, and the rest goes into ice cube trays for the freezer. I bought the OXO baby food storage tray for Isaac you see in the picture that has a sliding lid. This was a little easier, but regular ice cube trays worked great too. Just be sure to remove and bag them up quickly so the food doesn’t pick up any weird smells from your freezer (not that your freezer would have any) and to avoid freezer burn. I would continue this pattern of making large batches every other night or so for a couple of weeks building up my supply and variety. 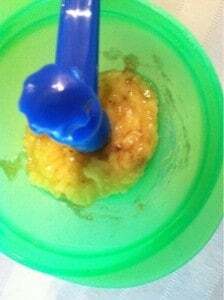 I started Isaac on solids at 6 months, so most of his supply has just about dwindled now that he is 9 months old, which is perfect because I am giving him many table foods now and pureeing more of what we are eating since he is older and able to manage more texture. This is what works for me. It may be easier for you to have a cooking day and make it all at once. I should mention that I buy some store-bought food for the diaper bag just in case we get stuck out somewhere. Also, I use a food mill to mash up soft no-cook foods like banana and avocado. I describe this further under option 3. Add a drizzle of olive oil and a dash of spices such as parsley, cinnamon, oregano, dill, or corriandor (to only name a few) once your baby has been exposed to the food in its purest form. Cook beans, lentils, chicken, and beef in a steamer or a little bit of broth then puree. Be careful not to overcook or it will become very dry. These proteins will also freeze well. Run peas through a strainer or baby food mill because there will still be hard pieces of the shell in the mix that the baby could choke on. Peaches, plums, peppers, and tomatoes can be boiled whole or in large sections without removing the skin, because doing so is extremely tedious. 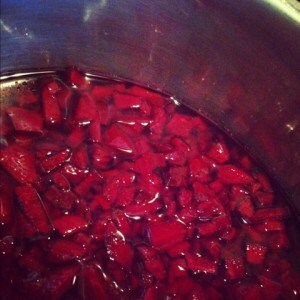 Once they are soft, pull out, and place in ice water for a few minutes. When you pull them out the skin will come off easily. If peaches and plums are very ripe you may be able to pull the skin off easily and grind up without cooking, especially if your baby is in the later stages of baby food and it doesn’t need to be very thin and smooth. You may need to add some water or your baby’s milk to foods gone through the food mill or that you have mashed by hand. Add spices, seasonings, and olive oil to store-bought food if you are using that, as well. Mashed banana after cranked through food mill. I do have a Munchkin Baby Food Grinder (aka: food mill), as seen in the picture above, I spent around 10$ and it has been well worth it. For those of you that are unfamiliar with this tool, it has two pieces that separate, which creates a chamber for the food to go into. When you place these two pieces together, turn the crank and your food will get pureed in a few seconds. Hard or tough pieces won’t fit through the holes, allowing the texture to be relatively smooth. Of course, you can toss these foods into a food processor of some type, as well, but the food mill leaves less clean up and set up! An Important Note: Whichever route you decide to go it is important to get the texture right. In the beginning the texture should be thin and smooth so that it’s easy for your baby to swallow and move around in their mouth. As your baby manages this well you should slowly increase the thickness and texture of the food they are eating. If your child is coughing or gagging frequently it’s a sign that the texture may be too much for them to handle. Add some water and/or puree a little more, then try again. Of course, babies will sometimes cough and gag when they don’t like the way something tastes either! I don’t want to freak you out about the gagging, most babies will here and there. But if your child is gagging frequently or having difficulty accepting baby food discuss it with their doctor. Good luck (not that you need it) preparing some fresh home-made goodies for your babe! I can’t tell you how my much heart loves these comments. I’m so happy to hear that!! Great job Angela! I have been trying to find information on how to transition to table/finger foods. This was the most helpful post I’ve found. Thank you for the info and photos! I’m a nervous mom and have been breaking up the puffs for my 9 month old – she’s got the chewing action down now, and I’ve already been giving her thicker homemade foods…but it’s so nerve wracking! I found the Vital Baby food pots have been amazing, from freezer or fridge to microwave. Cheaper than other brands but way durable. I got the 1, 3 and 7 ounce pots. Oh, and my little one has had beets for 2 months now – loves them. Bok choy, garbanzo beans, black beans & rice, quinoa and kohlrabi too. Made carrots steamed with ginger, she loves them. Thanks for all of the great tips and comments here on the different posts. I’m glad it has all been helpful! Remember to be brave, pushing yourself a little out of your comfort zone when moving to table foods. I am loving your blog. I have a 8 mo old and have been intimidated of this process, but now I’m going to give it a shot. Thanks for posting with such thorough details. I would have never thought of beets! Lots of great tips and suggestions, thank you! Although the actual process of making the baby food may be easy, it can be daunting to try to figure out what is ok and works best and exactly how to do it. Thanks for telling us how!